At Last a set of direct drop in injectors to Suit the new 1.6 DI EcoBoost Motor. With an additional flow rate of 30% these units are intended for all very high powered 1.6 Ecoboost motors and have proven flow over 400 bhp. Fully tried and tested these brand new Bosch Injectors will fuel the1.6 Ecoboost motor to well over 400bhp turbo and hardware permitting, they are a direct drop in unit but will need a mapping change to injector scaling to fully work correctly. They are fully compatible with all types of fuel inc E Fuels and could render the AUX fuel system a thing of the past with correct mapping. Pumaspeed now have suitable MAXD-OUT mappings available for all European Hybrid Turbos and GTX / EFR applications. The Pumaspeed Workshop team are ready to fit the Uprated Fiesta ST180 1.6 EcoBoost Bosch Injectors Set in our Head Office located here. Therefore making parts and labour a total cost £777.46 (inc. VAT). 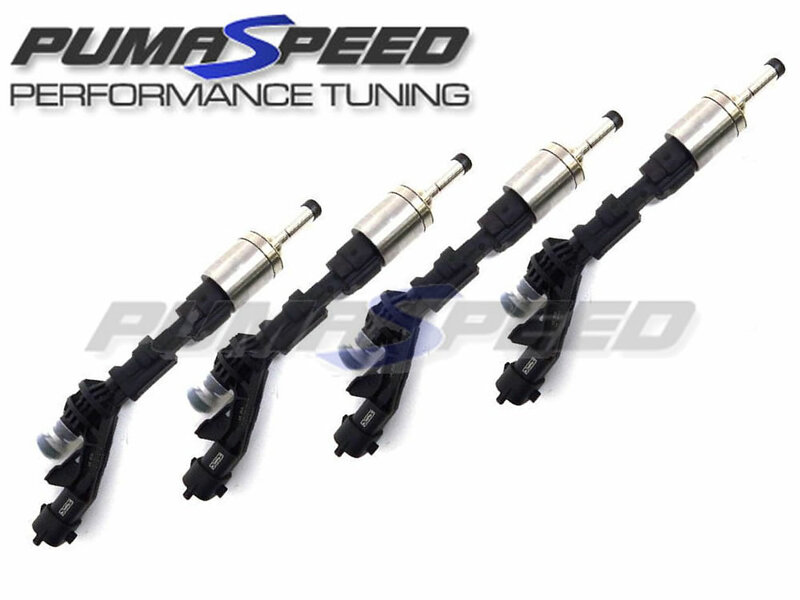 Pumaspeed have a specialist distribution team that can dispatch the Uprated Fiesta ST180 1.6 EcoBoost Bosch Injectors Set to any destination worldwide.